Liendo Plantation was built in 1853 as the centerpiece to one of the state’s earliest cotton plantations. The Greek Revival style home has been lovingly restored and is maintained as a National historic landmark, a private home and a working cattle ranch. A true gem of historical preservation in modern day Texas, Liendo has stood the test of time. 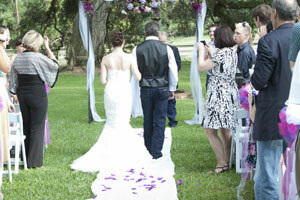 From tours and living history events to weddings and corporate events, guests can share in more than 160 years of Texas history at the lovely Liendo Plantation. In its day, Liendo was considered to be the social center of Texas, receiving and lavishly entertaining many dignitaries. 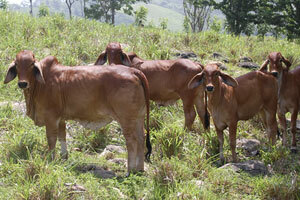 The original owners of Liendo are commonly credited with founding Texas agriculture. Frequent guests of theirs included many of the founding fathers of our great state. Many great and fascinating people have occupied Liendo Plantation over the years, including the world renowned sculptress Elisabet Ney and her husband Dr. Edmond Montgomery. In 1960 Carl and Phylis Detering purchased Liendo with the goal of restoring it to its former glory. After refurbishing the home, they traveled through the deep South and Europe to acquire the appropriate furnishings to complete the experience of historical accuracy. Although it was their private home and a working cattle rance, the Deterings graciously opened Liendo to the public in 1973 to share their little piece of history with others. 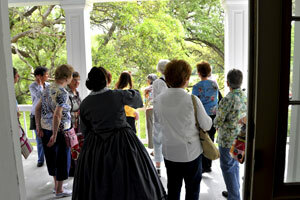 Today, Liendo Plantation is recognized as a Texas historic landmark and is listed on the national register of historic places. Will Detering, the current owner of Liendo, still continues the work of preserving and sharing Texas history that his parents began. Liendo is open to the public for tours once a month, or for private tours by appointment. Now booking private tours and photo sessions for Spring and Fall of 2019. Please fill out our tour request form or our photo session request form to check availability or get more information. 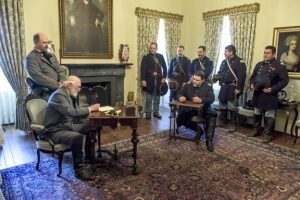 Visit Liendo for the 20th Annual Civil War Weekend on the weekend BEFORE Thanksgiving, November 23rd & 24th, 2019 OR for our Living History School Day on November 22, 2019. Dating back to 1853, Liendo Plantation is one of only a few homes still standing in Texas that were built before the American Civil War. During the War Between the States, Liendo hosted Cavalry and Infantry Training Camps, an Internment Camp, and a Hospital. For a brief time after the War, it served as headquarters for General George Armstrong Custer. 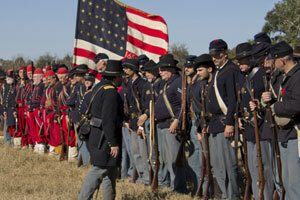 Its connection to Texas history and Civil War History make it the perfect setting to experience a unique living history event.